In 1984, Jim Vinecourt’s parents sat him down at the kitchen table and asked him what did he want to do for a living? He said, “Help the neighbors by mowing their grass and shoveling their driveways”. He was 10 years old. 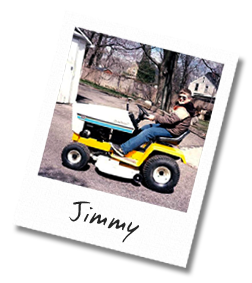 With a reel mower, a snow shovel, and a dream, Vinecourt Landscaping & Gas Line Service Inc., originally called Jim’s Lawn Service, was founded. Today, with an ever-expanding staff, the latest equipment, up-to-date horticulture technology, and natural gas pipeline certifications, that same dream Jim had to help the neighbors, is living proof that the American hard work ethic and do unto others attitude is still alive. Where did Jill come into the picture? May 1, 1999, Jim married Jill. She was the Vice-President of Operations for a manufacturing plant in Middlefield, Ohio, when she decided to leave her career for a complete life with Jim both at home and on the job. She believed the best way to learn all aspects of the Vinecourt business was to start out in the field as all new employees would. Working on maintenance, construction, snow plowing and installation crews gave her the unique perspective as a manager to fill the needs of their customers and staff. She is also one of the few women Natural Gas Pipeline Certified Fusion Technicians in the State of Ohio. The drive that Jim and Jill have to provide their employee teams with the education, certification, and the most up to date equipment, allow them to give their customers the best service possible. You probably have seen our trucks with the Vinecourt Logo on the side in your neighborhoods. We have installation and construction crews spanning Ohio and beyond. In 2005, we opened our Natural Gas Line Service division with DOT certified installers trained to the highest standards. Today, we maintain commercial, residential, and municipal properties during all of the seasons, including snow & ice management. Vinecourt Landscaping & Gas Line Service Inc. has expanded to provide most exterior services available. The tag line “If it’s outside, just ask!”, means just that. Free estimates and consultations are always available along with computer generated design work. See the services page and if you are not sure of a service need you have, just call. Friendly, helpful service available 24 hours a day, Vinecourt Landscaping & Gas Line Service Inc. is a family business with old time values and modern-day workmanship.